Twitter announced several significant changes in their terms of service (TOS). The new Twitter rules impact all users and social media automation tools and will be enforced starting March 23th, 2018. 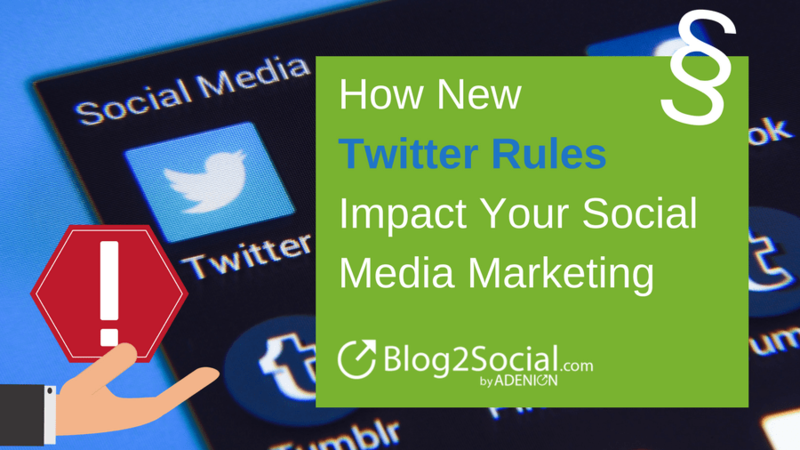 We will explain what's changing and how the new Twitter rules will impact your social media marketing and scheduling practice. And, we will also show you what you can do about it.